In January, one of our volunteers, Pam, reached out to VRS with interest in one of the horses that had been removed. At the time, we were still hoping to help the Hallelujah Horses, but winter weather and the transport situation was not cooperating. Since we hadn't made progress in that situation, we refocused to a more local need. Before you know it, we committed to four Virginia Range Horses that became five: Onyx, Whisper, Annie, Legend and Jackson. Today, we focus on Legend and Jackson. We credit Legend's good looks for helping save Onyx, Whisper, Annie, and Jackson. If he hadn't caught Pam's eye (and heart), these five may not have found their way to AAE, but we're glad they did. Legend was a band stallion, and he and the others from the group of 20-ish were pulled from their families so "us" travelers could safely navigate the highway in Nevada. It's truly a sad thing, but better than the alternative of human or horse deaths. So, we make the best of it and try to do right by the horses. Legend and Jackson started as neighbors at AAE after quarantine. Legend was the calm, cool and collected one, but he seemed almost too cool. He didn't exhibit the curiousity of the young ones. He had been a band stallion on the range, and his stoic and brave leadership showed through. There was a wisdom about him, and you could see him process every subtle movement, change, thought. Initially, it seemed like any minute he would blow. But with each interaction, he would show more calmness and confidence. 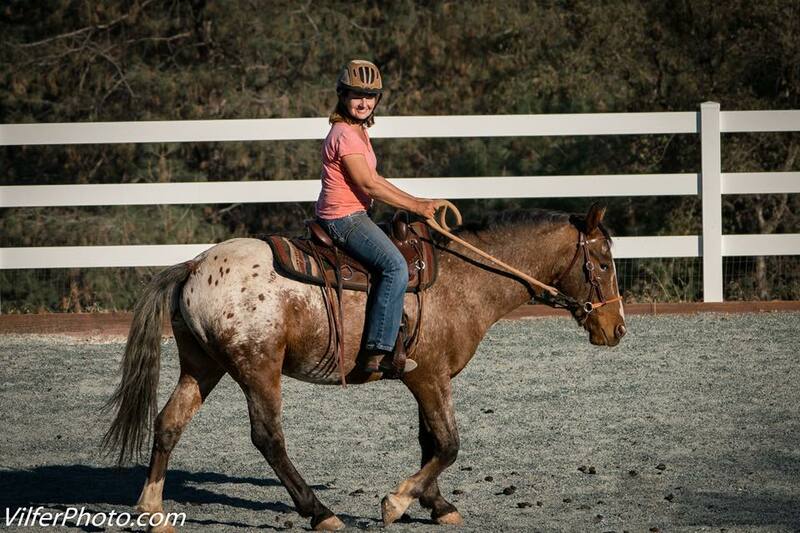 With Pam's patience and committment this past year, Legend has gone from wild to willing and now a riding horse. Jackson, on the other hand, is the curious, rambunctious, and studly one, more interested in becoming the AAE's herd leader than befriending us two-leggers. He's curious, but lacks confidence. Jackson is an absolute character, and like the cowardly lion in the wizard of oz, he thinks he's ferocious. He loves to assert himself over some of the other boys in the bunch, then quickly take his place behind the girls. Love this boy. Given some time pasture time commingling among his volunteer peeps, Jacks is coming around and seeking humans. We're on his time, no hurry. He's been haltered and handled, but for now, he's enjoying being a horse in captivity. He's working his way to haltered, handled, and enjoying human interaction. Hopefully, he'll meet a wild horse experienced person that will commit to him the time and trust he needs to believe in humans. 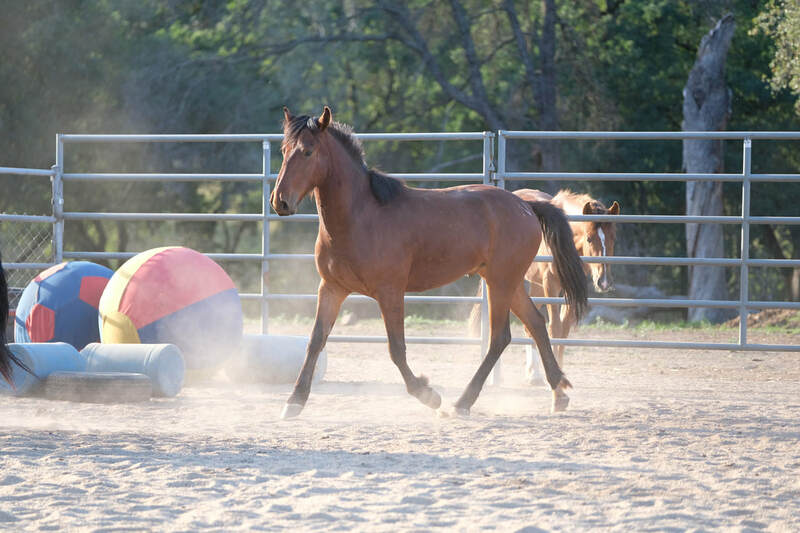 ​​​If you would like to help more horses get the help they need, please donate here.